Georgia Mae Capocchi-Hunter is a young Wurundjeri woman. 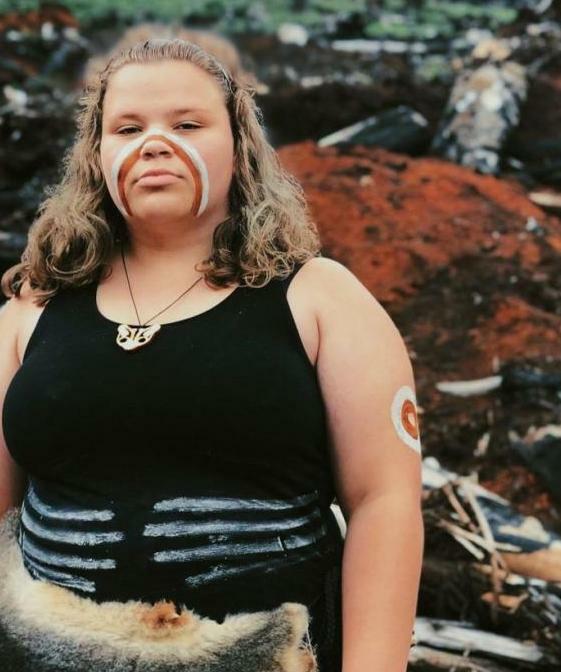 She is a member of the Djirri Djirri Dance Group, who offer dance as an “interpretation of our culture” and a way to tell stories in Woi Wurrung language about “creation, family and Country”. In this article, Georgia shares her story of dancing for Country to stop logging in the Toolangi Forest to the North/East of Narrm (Melbourne). It was late on a Thursday night when I received a message from my cousin in a family group chat. An old-growth forest near Toolangi was being logged, yet people were choosing to look the other way. Our forests were being cut down, our native wildlife were losing their homes and their lives, and our own quality of life would also continue to worsen if we did not try to stop it. So we decided to make the trip to help in any way we could. We arrived at the Strathvea Guest House on the Saturday. We settled into our cabins then headed out to the forests where we were filmed painting up and dancing under giant Mountain Ash trees. It was a surreal experience! The trees were so big and I found it hard to focus as I was so in awe of their beauty. The following day we met up with the ABC film crew and followed them out to the logging coupe. It was a devastating site and we were all shocked at the scale of destruction to the forest. We spent a few minutes really taking it in and there was a heaviness in the air as we made our way up to the site through the churned-up dirt and burnt out stumps. The worst part was the silence: it was as if someone had flipped a switch and suddenly all the natural noises of the forests had just stopped. We could not hear the wind or the birds, and it only added to the feeling of loss. We danced with dead leaves for the ABC news report that would air later that night, but we also danced to show our Ancestors that we would fight and that we would protect the land as it had protected us for generations. Going home that night was hard. It was hard because I knew that it was just the beginning of a long battle. But I knew that I had to fight, to honour those who had fought before me and to protect those who would come after. In-case you are unaware of what native forest logging is and what consequences it has for the future of Victoria I’ll give you a quick rundown. Native forest logging refers to the logging of state parks (public land). VicForests is the State Government-owned logging company and they designate areas known as coupes for logging. The logging that occurs is known as industrial clear-felling – every tree and plant is flattened and removed and whatever is left over is burnt. The logging of our native forests will cause severe problems for Victoria’s future such as loss of wildlife, loss and contamination of water, increased fire risks and more carbon emissions (source: Lindenmayer and Sato 2018). Logging disrupts the way our land and earth naturally grows and changes. Before colonisation, Aboriginal people had ways of land management that did not disrupt that natural course that nature should take. We took care of the land for 65,000+ years. We made it through environmental disasters without being wiped out because we made sure that the land was able to do as it needed with a little bit of guidance from those who knew how the land worked. That ideal has been thrown completely out the window as greed has taken over the minds of those in charge. Those who log now do not do so in the hope of making our environment better or with the belief that they are protecting the land, they do so because capitalism has become so ingrained in us that everything we do must be in the pursuit of money and wealth – even if that means destroying our Country in the process. Logging will lead to more severe fires as the new regrowth burns quicker than old trees, due to them being thin and densely packed (after logging they will often have helicopters drop water and disperse seeds to try and have the trees grow back as quickly as possible) (source: ABC 2014). 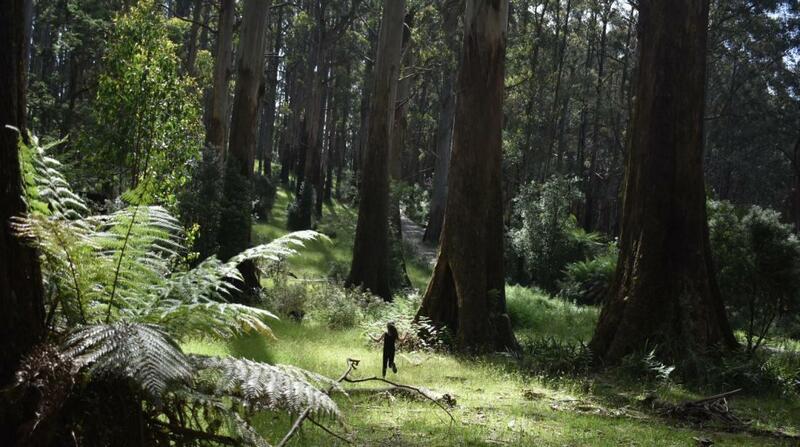 Mountain Ash and Alpine Ash forests provide Melbourne with nearly all of its drinking water. Unfortunately, these are the forests most affected by logging. This means that despite our need for increased water supply to Melbourne as its population increases, our supply will continue to drop – a dangerous reality for our children and grandchildren (source: Lindenmayer and Sato 2018). 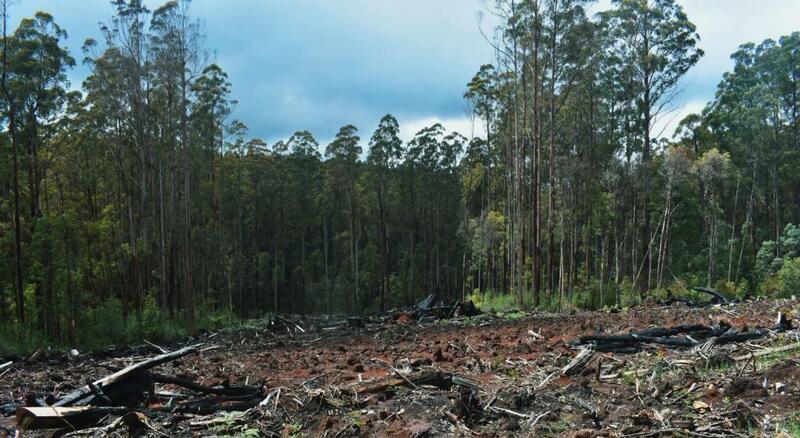 In autumn, VicForests lights intense logging burns to clear whatever “waste” is left after logging. Huge amounts of smoke cover the state and we are told that it is from regulated burns to reduce the dangers of bush fires when in reality it is an aftermath of the logging (source: Taylor and Lindenmayer, the Conversation 2018). The smoke from the burns reached such dangerous levels this autumn that the EPA had issued health alerts. Every day, land the size of five MCGs is logged – yes, you read that correctly, I said EVERY SINGLE DAY! (source: ABC News 2018). It is predicted that by 2030 if things continue at this rate, that there will be nothing left to log as our forests will be gone. Our ecosystem is collapsing, as our wildlife becomes endangered and their habitat is lost. In Victoria there are 79 forest-dependent species of which about 35 may be negatively impacted by timber harvesting. One of these species is Victoria’s faunal emblem the Leadbeater Possum which was listed as critically endangered in 2015. Also known as the Fairy Possum, it is only found in the highlands of Victoria’s native forests like Toolangi state park. As a result of the 2009 bushfires they lost 45% of their habitat and their population reduced to 1500 in the wild making them critically endangered. For the Leadbeater Possum to even have a chance at survival logging in their native forests must cease completely (Source: Parliament of Victoria Inquiry into VicForests Operations 2017). If the environmental catastrophe isn’t enough to convince you though, let’s re-examine this situation economically. Our forest supply is running out and it is costing the government and taxpayers more and more to keep the industry afloat. We do not even keep the majority of products that come out of logging Victoria’s native forests, the vast majority is sold overseas. I understand that people need jobs and economic security, but we have to find a way that doesn’t involve destroying our land. So, what is our alternative? One alternative to logging native forests is commercial plantations. They can provide more jobs than the native forest logging operations and can continue on for as long as they are needed. Native forests have end dates, they take hundreds of years to grow and at the current rate will not be around for much longer. Plantations however, can continue to provide jobs consistently. It is vital that the Victorian community understands the sacredness of our land and wildlife. We as Aboriginal people do understand this. The Land is our spirit, our Culture, our connection, it is our Mother and it is our home. Without her we are nothing. The Victorian public and governments can no longer be silent, we can no longer stand by and watch as our land and our futures are devastated on this unprecedented scale/torn apart. It is time to be forceful, it is time to be radical and to fight for the land that continues to be destroyed. This land always was and always will be Aboriginal Land – it is time that everyone remembers that. Taylor and Lindenmayer, the Conversation 2018. This article was originally posted on Georgia Capocchi-Hunter’s blog, Lil Koori Girl.